It’s still too hot to cook…appetite-killing heat is in the forecast for weeks to come. I’m spending as much time as humanly possible near (non-oily) water, so many frosty beverages are in order. 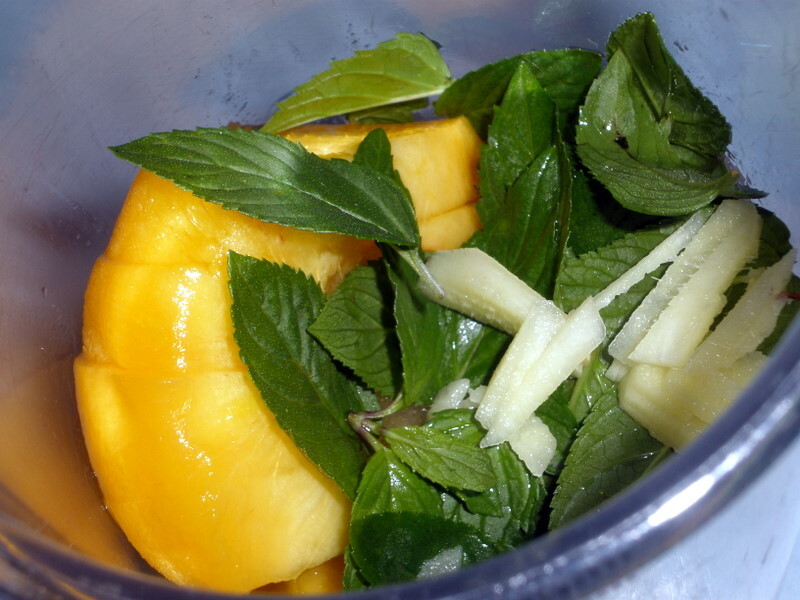 Pureed fruit, a bit of sugar, fresh mint, citrus juice, and julienned fresh ginger, blended together, has become my defacto poolside cooler. Right now, I’m using overripe peaches, though the drink would easily accomodate most any fresh or frozen berry, pineapple, watermelon, apricot, mango, or possibly even peeled figs (but it’s too hot to sit around and peel figs). Try substituting basil, thyme, or pineapple sage for the mint; beware of rosemary–a little goes quite a long way. Cut peach into chunks, removing pit. Place in blender container (immersion blender is fine), along with remaining ingredients. Process until smooth. Thin to the desired consistency with water. 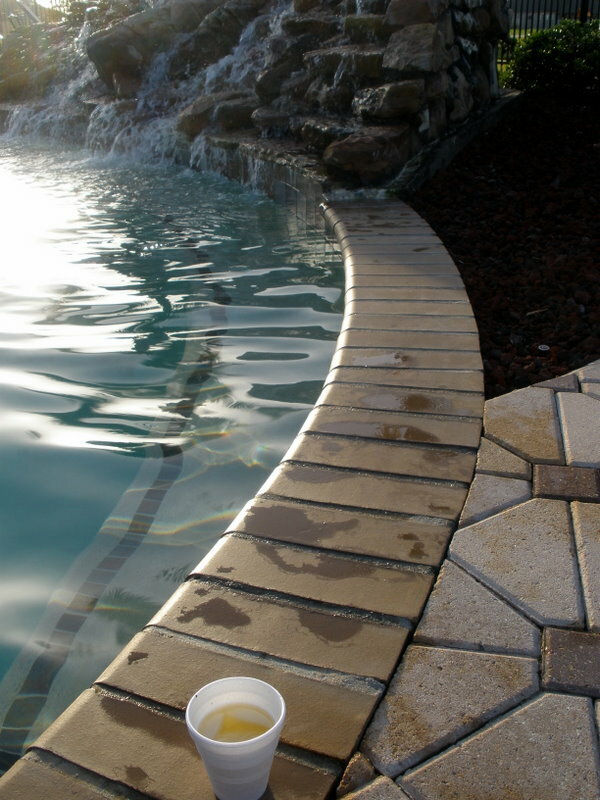 Serve over ice, preferably poolside. Shake or stir well before serving. Without added water, the puree can be frozen and subsequently scraped into a fluffy granita.